Women around the world are creating and building incredible technology companies. 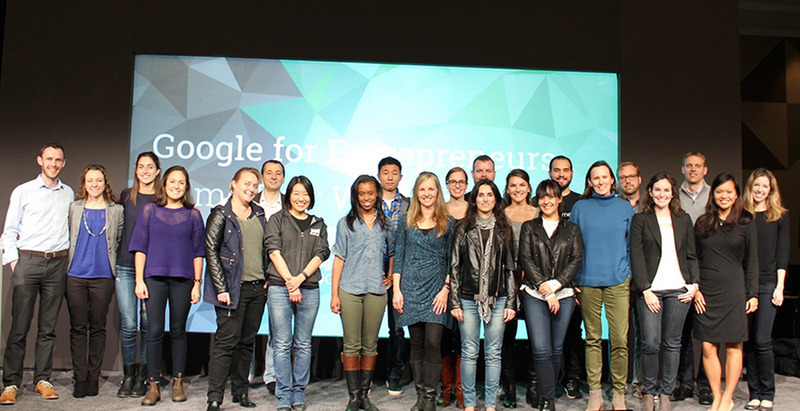 We see this every day through our Google for Entrepreneurs programs—like #40Forward, which works with organizations to increase the representation of female entrepreneurs in startup communities, and our baby-friendly startup school Campus for Moms. 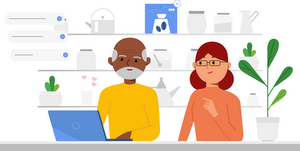 Supporting these startups is important because teams with diverse perspectives and experiences—particularly in leadership positions—make better products for users. But the data still tells us that women-led startups often struggle to get access to top investors who can help them raise money. Despite women owning 29 percent of U.S. businesses, female-led companies receive only 3 percent of venture capital—a lifeline for many startups to fund new product development and hiring. 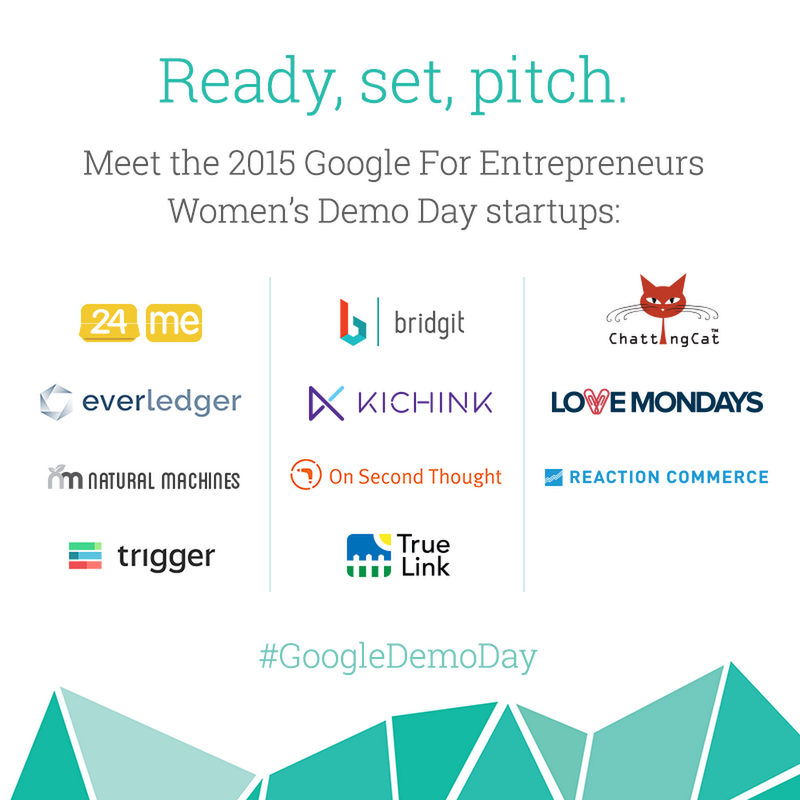 With this in mind, today we're hosting our first Google Demo Day specifically for startups with female founders. More than 450 companies from 40+ countries applied, and we chose 11 female-led startups to join us in San Francisco for the event. These startups come from all over the world and span a variety of industries—from Kichink, a B2B e-commerce company in Mexico, to ChattingCat, a real-time translation service in South Korea. At today’s event, each startup will have four minutes to pitch their businesses, followed by Q&A with a panel of judges. At the end of the day, the judges will crown a Judges’ Favorite, based on the strength of their business model, their team, and their product. Demo Days aren’t just a time to pitch investors; founders also receive mentoring and feedback from Googlers and Silicon Valley veterans through a series of talks and workshops. Companies from our past two Demo Days have raised $3.5 million from investors who are in attendance, and millions more afterwards. For example, Durham, North Carolina-based beverage entrepreneur Tatiana Birgisson, who won our Demo Day in April, has raised more than $1 million for her energy tea startup MATI Energy. But it's not just the people in the room who can take part in the big day. You can tune in to the live stream on YouTube at 10am PT today to see Demo Day in action. You'll also have the chance to vote for the winner of the "Game Changer" Award, an audience favorite trophy. We hope this Demo Day will not only shine a light on the participating startups, but on the exciting companies being built and led by female entrepreneurs everywhere.